What resonant singing! What melodious chorus! 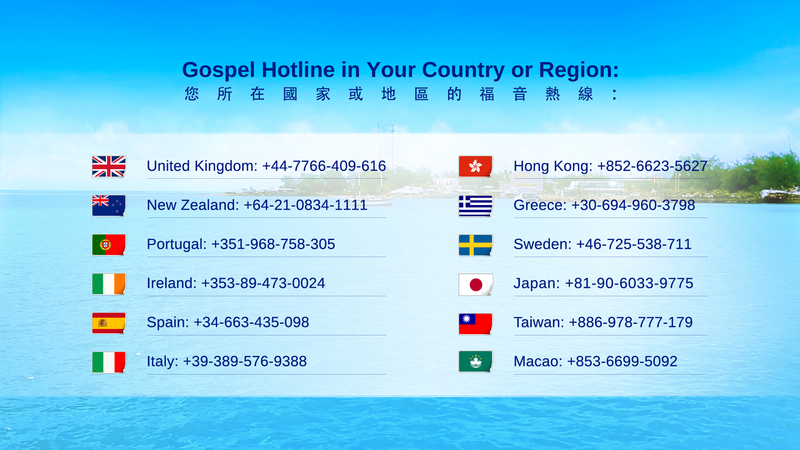 God’s chosen people of the Church of Almighty God are sincerely spreading the Creator’s heart’s voice and true feelings toward mankind. This entry was posted in Articles, Church Choir, Single Tracks and tagged Almighty God, be faithful, Find, God is Love, love hand, pray to God, the hope, the value, the way on 2016-03-24 by summer sunshine. 1. The almighty true God, the King on the throne, rules over the entire universe, rules over the entire universe, facing all nations and all peoples. In the whole world is shining God’s glory. All living things in the ends of the universe should see that, mountains, rivers, lakes, earth, seas, and all existing things Ah, the curtain over them is lifted in the light of the presence of the true God. They are revived again as if awakening from their dream and sprouting from the soil! Ah! The only true God has appeared before the world. Who dare treat him with resistance? Everyone is trembling with fear; all are utterly convinced, begging for mercy repeatedly. All men bow down before him; all tongues worship him. 2. Five Continents and Four Seas, mountains and rivers, and all things Ah praise God unceasingly, praise God unceasingly. The warm spring breeze is with spring in the air and continuous spring rains; the babble of the brook and all people alike are with mingled feelings of joy and sorrow and shed tears of indebtedness and self-reproach. Rivers, lakes, sea waves, and billows are all singing, extolling the true God’s holy name! How clear is the sound of praising Ah! The old things corrupted by satan before, will all, will all be renewed, will all be renewed and will all be changed, entering into a brand-new state. 3. This is the holy trumpet, and it has sounded! Listen attentively; the sound is so pleasant, and the throne is uttering the voice, declaring to all the nations and all the peoples. 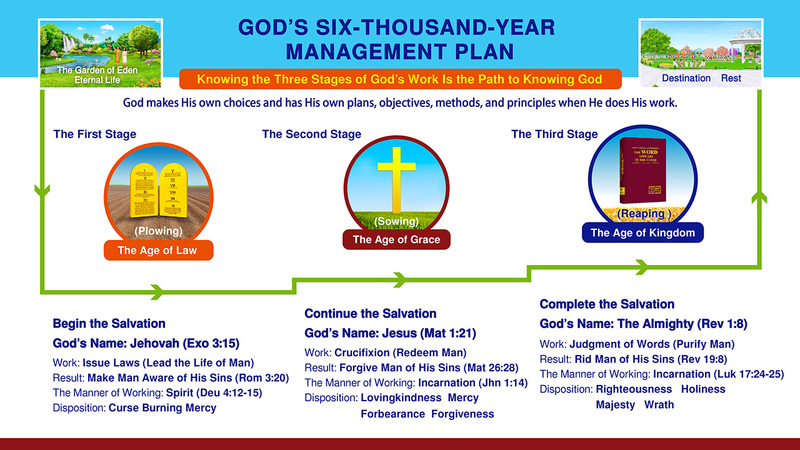 The time has come; it has come to the final end; God’s management plan has ended; God’s kingdom has appeared publicly on earth; the kingdom of the world has become the kingdom of God, the kingdom of the world has become the kingdom of God. God’s seven trumpets utter the voice from the throne. What a wonderful thing will happen! Look at God’s people joyfully; they can recognize God’s voice, and they come together, come together from every country and every place. All people Ah, have the true God on their lips always, praising and leaping unceasingly! They are testifying to the world, the sound of their testifying the true God like the thunderous sound of many waters. All people will rush into God’s kingdom, rush into God’s kingdom. This entry was posted in Single Tracks and tagged appeared, Hymns, joy, sing together, singing, voice of nature on 2015-12-04 by summer sunshine. This entry was posted in Single Tracks and tagged harmony, hymnals, Hymns, joy, lyrics, psalms, sing together, song, song of heaven, spiritual songs, voice of nature on 2015-12-02 by summer sunshine. The kingdom, God’s fullness is manifested. The saints have now been taken up before the throne worshiping God. The saints of all generations have now come to life standing in the last days. with no place to lay their head. Satan and the devils are dancing wildly. yearning for the Savior to come. looking forward to God’s appearance. and saving them from Satan. which are still vivid in our mind. we are boiling with rage. and severely punishes the devil. pledging our life to fight to the end. will our rankling hatred be slaked. and the sun of righteousness has appeared. praising God for His gaining glory. ends with the saints’ victory. God personally reigns on earth. Almighty God’s wonderful deeds I extol and sing aloud to. Almighty God’s righteous disposition I praise unceasingly. Almighty God’s wisdom and almightiness I joyfully shout and leap for. Almighty God’s humbleness and hiddenness I cannot love enough. God is my rear guard; what shall I fear? I will war against Satan to the end. and have a part in Christ’s sufferings. to meet with Him in glory. working and leading for so long. and exhaust my effort to repay God. gaining victory with God and becoming God’s testimony. Satan the enemy will be severely punished. will surely appear on the whole earth. 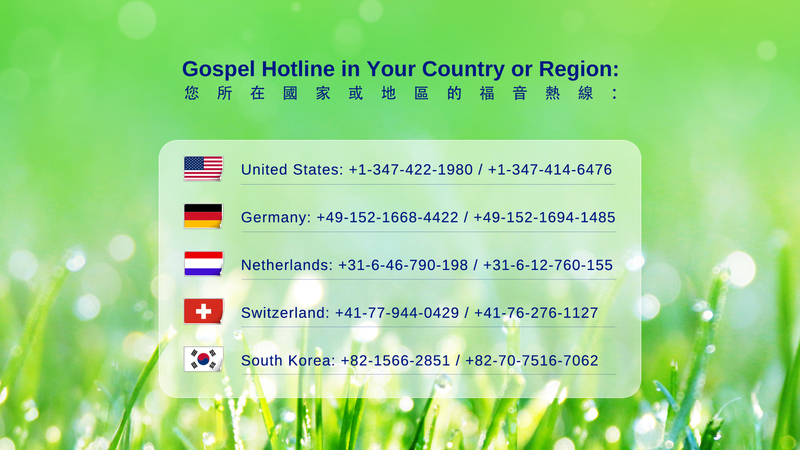 This entry was posted in Single Tracks and tagged End Time, end times, eternal life, God’s word, gospel choir, Holiness, Jesus’ Return, presence of God, promises of God on 2015-12-01 by summer sunshine. 1. In the Age of Kingdom, God uses the word to usher in a new age, usher in a new age, to change the means of His work, and to do the work for the entire age. This is the principle by which God works in the Age of the Word. He became flesh to speak from different perspectives, enabling man to truly see God, who is the Word appearing in the flesh, and His wisdom and wonder. Such work is done to better achieve the goals of conquering man, perfecting man, and eliminating man.This is the true meaning, meaning of using the word to work in the Age of the Word. 2. Through the word, man comes to know the work of God, the disposition of God, the essence of man, and what man ought to enter into. Through the word, all, all the work God wishes to do in the Age of the Word is accomplished. Through the word, man is revealed, eliminated, and tried. Man has seen the word, heard the word, and become aware of the existence of the word. As a result, man believes in the existence of God; man believes the almightiness and wisdom of God, as well as God’s heart of love for man and His desire to save man, desire to save man. Though “the word” is simple and ordinary, the word from the mouth of God become flesh shakes the heavens and earth; His word transforms the heart of man, the notions and the old disposition of man, and the old appearance of the entire world. 3. Through the ages, only the God of this day works in such a manner, works in such a manner,and only He speaks and saves man, saves man thus. Thereafter, man lives under the guidance of the word, shepherded and supplied by the word; they live in the world of the word, live within the curses and blessings of God’s word, and even more live under the judgment and chastisement of the word. 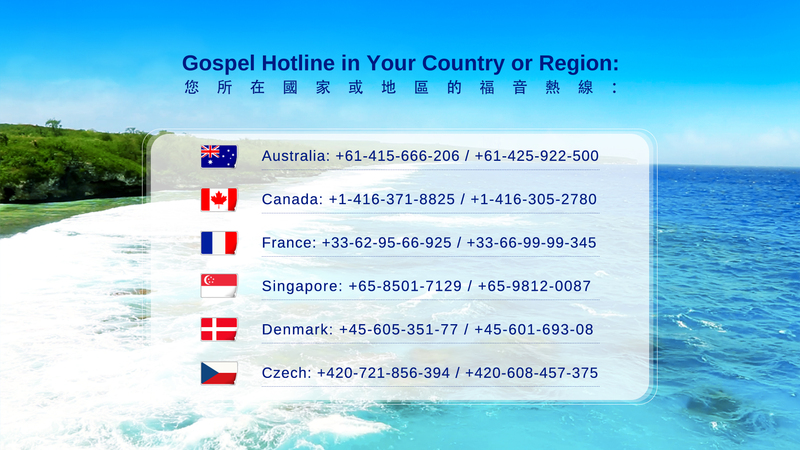 These words and works are all for the sake of man’s salvation, achieving God’s will, and changing the original appearance of the world of old creation, changing the original appearance of the world of old creation. God created the world with the word, leads men throughout the universe with the word, conquers and saves them with the word. Finally, He shall use the word to bring the entire world of old to an end. Only then is the management plan wholly complete, ah … ah … is the management plan wholly complete. This entry was posted in Single Tracks and tagged Almighty God, Hymns, joy, lyrics, Praise, promises of God, psalms, song, song of heaven, spiritual songs, voice of nature, word of God on 2015-11-07 by summer sunshine.